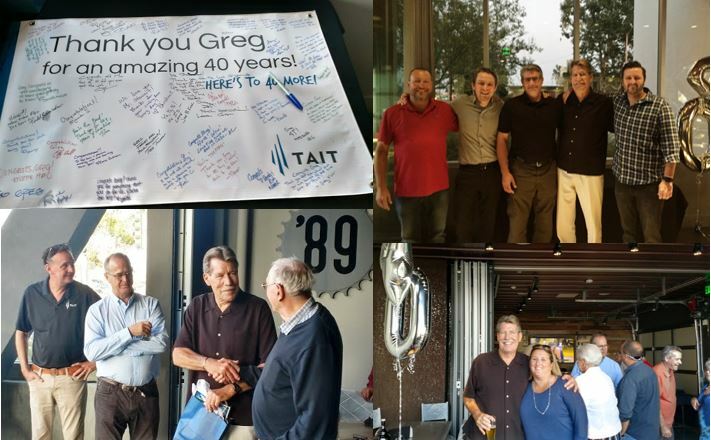 Greg Stewart's 40th TAIT Anniversary - Tait & Associates, Inc. This June of 2017 marked a special anniversary at TAIT & Associates – We celebrated Mr. Greg Stewart’s 40th year working at TAIT! Greg started at the company as a young man and has dedicated all these years to growing with TAIT in the Survey Department and beyond. 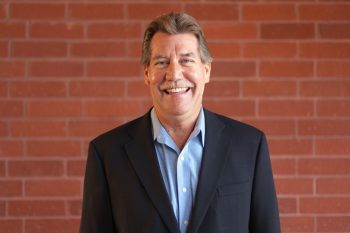 He is currently Vice President and General Manager of Surveying, managing large development projects and mentoring other associates working with him. Greg’s fellow associates along with family, friends and clients threw him a surprise celebratory party, complete with a large banner, signed notes of congratulations and gifts to commemorate him. We are thankful to Greg for contributing his hard work, many talents, upbeat attitude and sense of humor for the past 40 years and 40 more!